Tested Beckman Type 42.2 Ti Ultra Centrifuge Rotor to Max 42,000 RPM Warranty . New Life Scientific, Inc.
No stand is included, but comes with storage bag. and is popular for processing a variety of micro-samples. 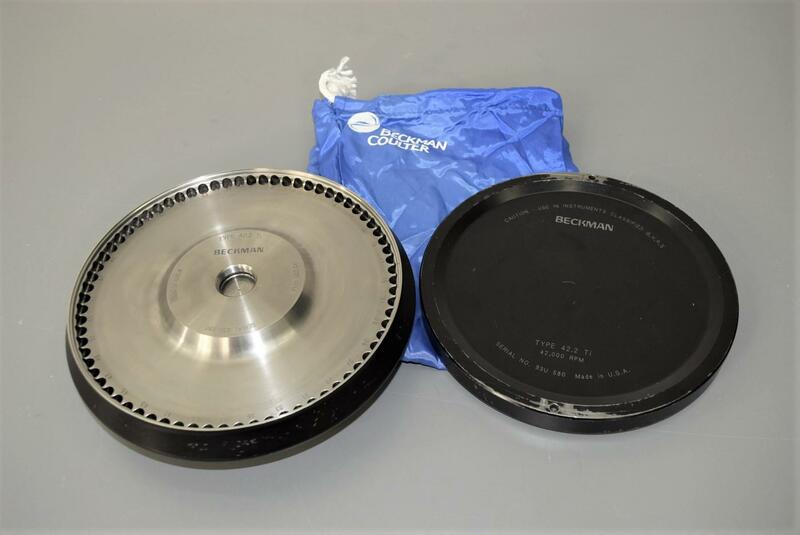 Retail new on this rotor is $27,100 from Beckman. Use only in class G, H, R, and S classified centrifuges.